Many backpackers decide that they need a full year to truly immerse themselves into their travels - it's easy to lose yourself in the wonders of the world. There are so many amazing things to see, interesting people to meet & intriguing cultures to discover that it's hard to cram everything into a shorter period of time. 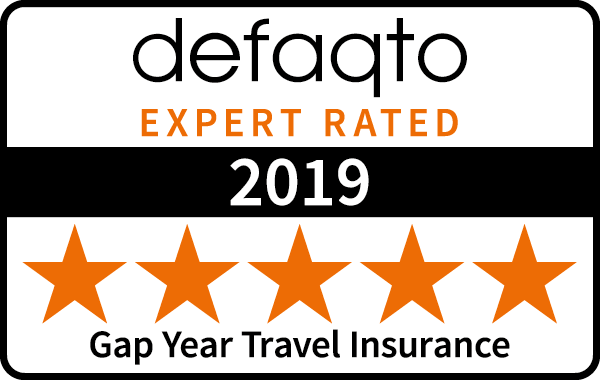 When it comes to putting your trust in a backpacker travel insurance company for a full year of travel insurance, you need to be sure that the company you use can provide you with the cover you need to head abroad knowing you are protected. Our year travel insurance policies have been specially put together to ensure you receive all the cover you need whilst travelling, from emergency medical expenses to stolen and lost baggage protection, as well as repatriation, trip cancellation & loss of your passport or travel money. For those looking to head away for even longer, you can take advantage of our 18 month travel insurance policies - offering great value for money for your extended trip away. We also provide cover for up to 230 different sports & activities, with over 100 of these included as standard in every travel insurance policy. These range from bungee jumping (included) to grade 4 & 5 canoeing, which requires an additional premium. We have made it as easy as possible for you to add additional sports & activities to your policy - you can add these whilst getting your online quote so you can easily choose the cover you require. You can view the range of sports & activities available to cover here. Travel insurance for up to 18 months, worldwide cover available. Cover if your travel money or belongings are lost or stolen abroad. Emergency medical cover abroad of up £10,000,000 available. Scheduled airline and end supplier failure on all policies.